+52% Like Dominion TV Series of 162 Votes! We Liked: The idea of a post-apocalyptic future where angels are our biggest enemy with a new greater enemy lurking in the shadows of the final season. We Disliked: Many episodes seemed like "fillers" to get to the new episode. Some of the actors overacted and Syfy canned the TV series after 2 seasons. Would have liked to see where season 3 could have left us. 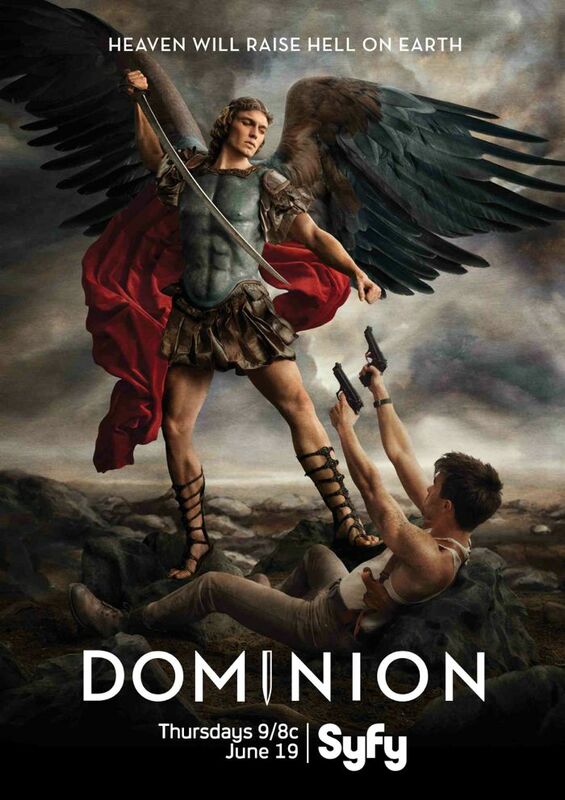 Synopsis: Dominion is an epic supernatural drama set in the near future. Specifically, 25 years after "The Extinction War," when an army of lower angels, assembled by the archangel Gabriel, waged war against mankind. The archangel Michael, turning against his own kind, chose to side with humanity. Rising out of the ashes of this long battle are newly fortified cities which protect human survivors. At the center of the series is the city of Vega, a glistening empire that has formed from the ruins of what was once Las Vegas.